170 new members invested - God is so good to our association! Holy Sepulcher New Lady of Charity Group invested this day. Bishop Winter Celebrant - Always a blessing to have him. Thanks to all the priests and deacons who joined our celebration. Father Ed Litavec - Good to have him back with us. New Time for Mass - Sunday afternoon everybody loved it! Recommitment LOC Present - An awesome experience each year! Honor LOC with twenty - five years or more of service - Thank You. Special Guest - Suzanne Johnson, LCUSA President. New Venue for Banquet - 44 attended. Couldn´t have been better. Thanks to Mary Skyzinski and the family of Helen Lewandowski for donating the 210 year award medals in Helen´s name. 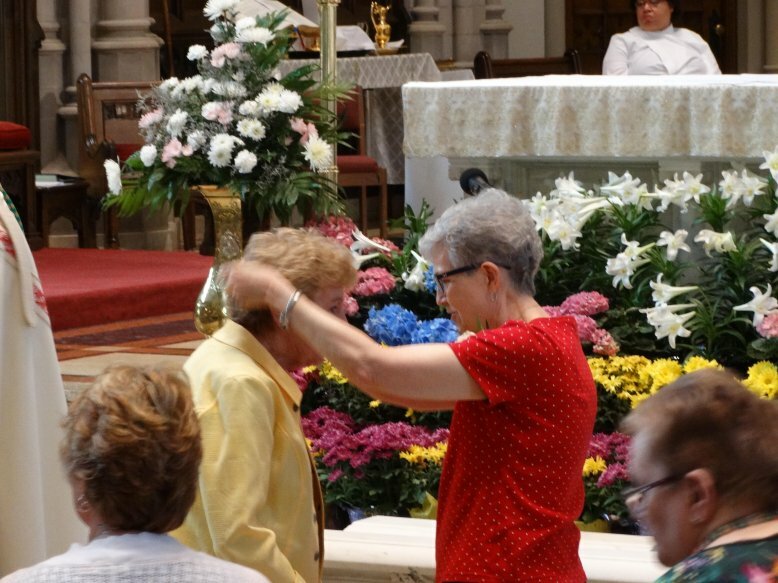 Special Recognition to President, Judy Weismann, 1st Vice President Andrea Joubert, Spiritual Moderator Sister Mary Victor Powers SC, Spiritual Chairman, Pat Kanavich, Membership Chairman, Kathy Laudano and all the other board members who made this such a special day. This is the most profound day of the entire year for the Diocese of Pittsburgh Ladies of Charity Association.